It's set up a site for you to post your suggestions. 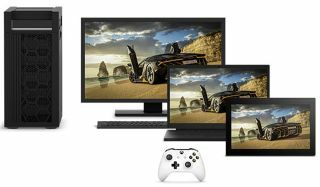 Microsoft’s Team Xbox has a query for those of you running Windows 10: How can they make it better? They’ve set up a site on Xbox Ideas, a virtual suggestion box if you will, for you to pose your questions, comments, concerns, and suggestions to them about the future of gaming on Windows. Specifically, they’re interested in three things: What you want Windows to do, or stop doing, while you’re playing a game, what you want Windows to optimize for your gaming, and what new features Windows needs for gaming. It seems unlikely that anyone is going to get an extensive feature overhaul for gaming on Windows 10… but who knows unless you post them? It probably can’t hurt to make your voice known. You can make suggestions on the Gaming on Windows 10 Xbox Ideas page.